Photo of: East Coast of Ireland: Meath: Boyne. 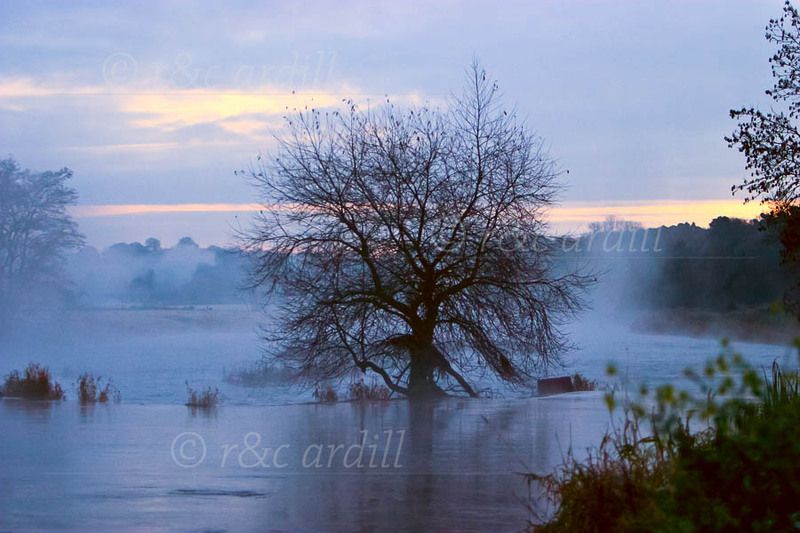 A view of a weir at Armulchan on the Boyne before sunrise. Many of the weirs on the Boyne have trees growing on them - but this tree is a particularly spectacular one. The image is looking down the Boyne towards the Broad Boyne Bridge at Stachallan.